Live Arts Week SPECIAL! ATPdiary presents "Slot Machine Music for Four Drifters" a sound installation by the american sound artist Adrian Rew. 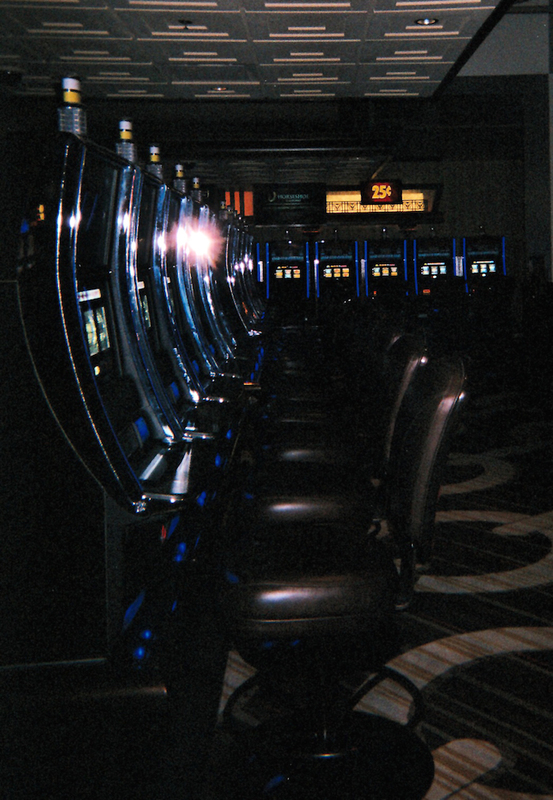 Slot Machine Music for Four Drifters is a sound installation by the american sound artist Adrian Rew. Video gambling addicts, academic researchers, and industry professionals alike describe the trancelike state into which problem gamblers suspend themselves with remarkable consistency: they call it the machine zone, a kind of inner experience during which the rhythmic flow of human-machine collusion borders on mysticism.  Time is abolished in the act of contemporary video gambling – simulated slot reels roll, virtual poker decks deal, and all worldly concerns are lost – leaving only the aura of total zone immersion in its wake. 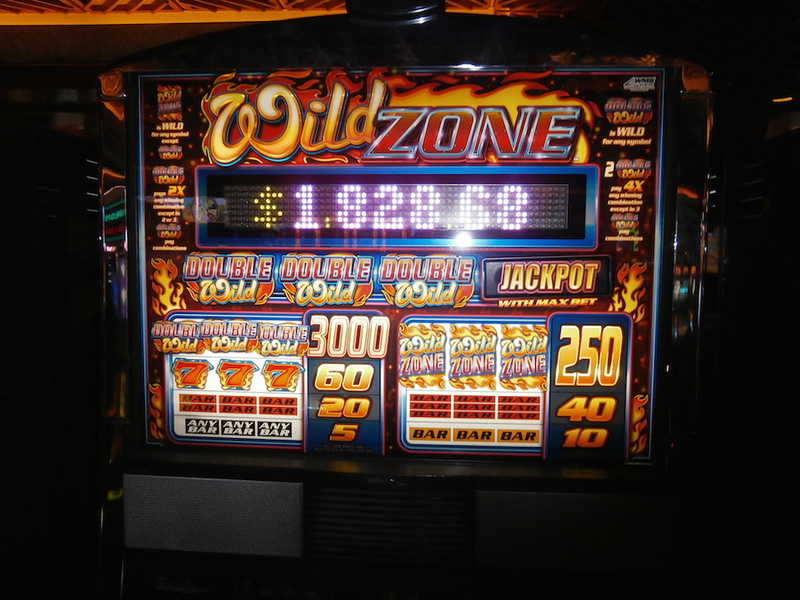 Sometimes characterized as the crack cocaine of gambling, the intensity of the machine zone is a symptom of casino ergonomics: oxygen-saturated pleasure air, subtly controlling walkways, mesmerizing lights, and meticulously engineered sonic environments all play a role in evoking the timeless void of the zone. Seeking to transmit this zone experience without the harsh comedown of its unfortunate reality, in 2013 Adrian Rew undertook a series of clandestine recording sessions in Midwestern American casinos, the best of which are included on his Slot Machine Music albums. Applying the Situationist tactic of the dérive to the psychogeographical contours of the casino floor, Rew diverts its flow of capital by following his ears instead of his wallet. His untreated recordings revel in cornucopias of undulating slot machine tones, which trigger aleatorically and coalesce into shimmering masses of C major. Now having returned to the scene of the crime with a crew of recordists in tow, this world premier of Slot Machine Music for Four Drifters presents four subjective and simultaneously recorded casino soundwalks as a quadraphonic installation. ATP: This year you’ll be introducing for the first time in Italy Slot Machine Music for Four Drifter at Live Arts Week, how do you plan to develop it and which will the differences among the musical project be? AR: Slot Machine Music for Four Drifters is exactly that: the same concept and execution as Slot Machine Music—audio from an uninterrupted recorded meandering across a casino floor—except that instead of simply presenting my own recordings in stereo, this installation is a quadrophonic diffusion from sessions I did with two teams of casino drifters: David Sutton, Ryan Kerr, Allen Mozek, Henry Hynes, Jack Callahan, Emma Smith, and Daniel Dimaggio. 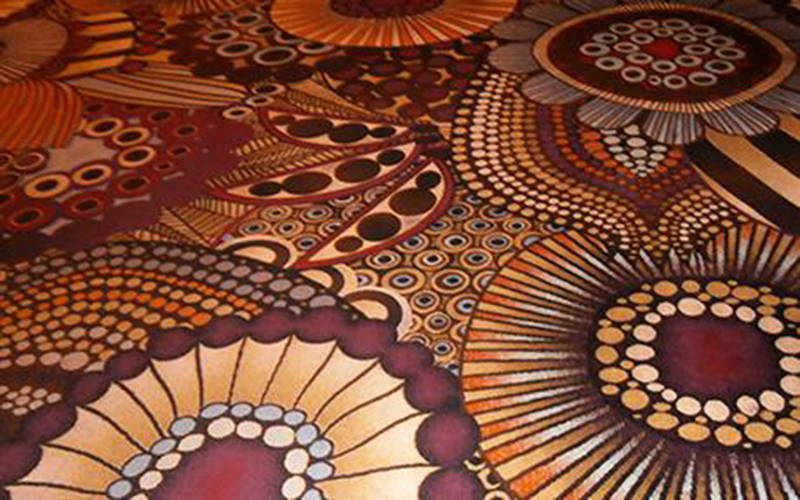 Each of the four channels plays back a different drifter’s own interpretive gait across the coercive carpets of the casino resulting in a kind of chimeric impression of the soundscape. While casinos are typically designed to impel attendees towards games as quickly as possible, it is my hope that by following our ears instead of our wallets during these sessions we managed to circumvent the control of the casino. ATP: Do you notice a difference in the influence your work has towards a public that has never had anything to do with slot machines compared to those who frequent casinos? AR: I definitely have. 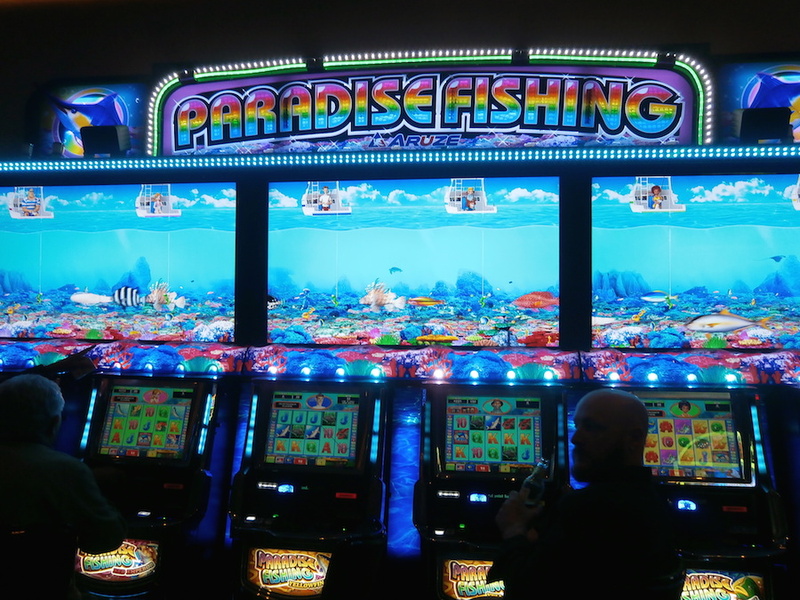 The “zone” state of metaphysical suspension that the slot machine tones induce is very comforting, and the experience of sitting entranced at a machine can be almost womblike. Since gambling and slot machine addiction is very real, I’ve found that the sounds can trigger reminiscent feelings in people who have spent extended periods of times around slot machines, whether gambling or not. Shortly after recording my first sessions, I toured behind the material projecting an online Wheel of Fortune game during the diffusion and offered any jackpot winners a free copy of the album. True to casino odds, I only had one winner during the two weeks, but I remember one player in Dayton, Ohio being glued to the game the whole night. Still, even for those who have never stepped foot into a casino, the soothing sounds remain effective in playback, only without money to be lost. ATP: Until now you’ve always recorded in big casinos. Do you think little realities like bars with slots or provincial game houses have a different effect? AR: My own interest in casino recording does for the most part require a big casino because I like to wander about the space capturing a wide array of sounds. In a smaller space the effect is not quite so kaleidoscopic, yet all it takes is a gamer seated at one machine to illicit the “zone”. When sitting there in cyborg union with the machine one really does create a rhythmic system of feedback in relation to the game. Since some of the arpeggiated tones have a very specific cadence, it is incredibly tempting to sustain the sound by hitting the gambling button right as the musical phrase ends, thereby perpetuating the lull of the machine song. It is this mutually flowing process of betting and listening/watching that makes it so difficult to leave a machine once you are seated. ATP: This research of yours has been born threw field recordings, why do you think that audio is the more efficient way to talk about casinos? AR: I don’t know if audio is necessarily the most efficient way to interpret the casino space, but as someone who works frequently with sound it is the approach that made the most sense for me. The aleatoric implications of chance-based machinery creating the slot machine music certainly lent my project a polemic angle that it might not have had otherwise, but had any other space made those sounds I would still have recorded them: for me, it was the sounds that ignited my interest in casinos rather than the converse. For an in-depth analysis of casinos and slot machines in particular, I highly recommend Natasha Dow Schüll’s book Addiction By Design. AR: Hanson actually only reissued the first volume of Slot Machine Music, but yes Aaron is a good friend as well as an artist and label head whose work I admire. I met him the first year of my undergraduate studies in Oberlin, Ohio so we ended up working together quite a bit during my 4 years there. Adrian Rew, born in Chicago, is a Queens-based sound artist working with field recordings, magnetic tape, and voice. His approach to recording favors the improvisational nature of stumbled-upon methods of composition to rehearsed deliberation and idiomatic music making. Rew’s first-take Tone Burst (Plaster Caster, 2010) made use of the temporal disparity between digital and analog radio broadcasting to create feedback loops ruptured by silence and punctuated with mangled public service announcements. In 2013 he visited the Horseshoe Casino in Cleveland and, seduced by the sounds of its slot machines, returned the next week to record the first session of his immersive Slot Machine Music (Hanson, 2014). Rew has also performed as a member of Jeph Jerman’s Animist Orchestra, written for The Wire, and runs Ergot Records.